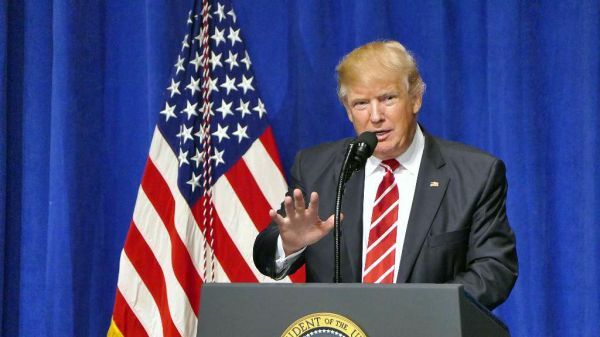 By John Kruzel on Monday, January 7th, 2019 at 5:46 p.m.
At the two-year mark of his presidency, Donald Trump's campaign promise to expand the U.S. Navy fleet to 350 ships remains In the Works. Since our last update, the number of ships has grown by four, now tallying 287 surface ships and submarines, according to Navy data. But the long-term trajectory we previously outlined still holds. The Navy has plans to expand its fleet, but it will likely take decades to get to 355. The Navy's long-range ship acquisition plan submitted to Congress last February stated that it planned "to reach a 355-ship fleet by the early FY2050s, potentially quicker with an aggressive investment of resources." A Navy official previously told us the goal of a larger Navy could be achieved in the 2030s by executing on a more robust shipbuilding plan and extending the service of other ships. A forthcoming budget and new ship building plan, due out this spring, could alter the shipbuilding timeline. If it does, we'll consider modifying our rating. But as of now, according to Todd Harrison, the director of defense budget analysis at the Center for Strategic and International Studies, "The Navy has not adjusted its long-term shipbuilding plan, and the budget projection hasn't changed" since our last update. 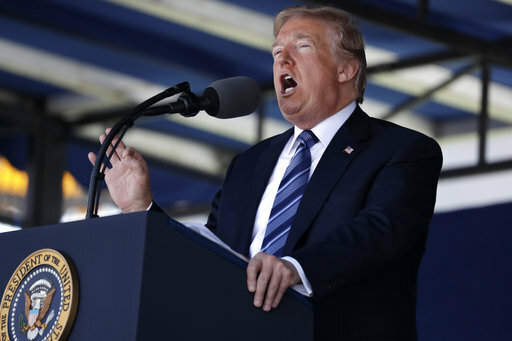 By Amy Sherman on Friday, May 25th, 2018 at 2:55 p.m.
President Donald Trump highlighted his campaign promise to increase the number of Navy ships during his May 25 speech to the U.S. Naval Academy. We have been tracking Trump's campaign promise to build a Navy of 350 surface ships and submarines. The Navy's goal for achieving a fleet of 355 ships, up from 308 previously, was announced in December 2016 shortly before Trump took office. We rated Trump's promise In the Works in April 2017 based on his budget requests. But getting to 355 ships will not be "very soon." The Navy currently has 283 ships. The Navy has plans to expand its fleet, but it will likely take decades to get to 355. The Navy's long-range ship acquisition plan submitted to Congress Feb. 12 stated that it planned "to reach a 355-ship fleet by the early FY2050s, potentially quicker with an aggressive investment of resources." In April, a Navy official said the goal of a larger Navy could be achieved in the 2030s by executing on a more robust shipbuilding plan and extending the service of other ships. Todd Harrison, a defense analyst with the Center for Strategic and International Studies, said that building new ships and replacing aging ones is an incremental process. "There is no 'very soon' about growing the size of the Navy," he said. Trump's statement that the 355-fleet "has been approved" doesn't tell the full story. The 2018 National Defense Authorization Act stated that it "shall be the policy of the United States to have available, as soon as practicable, not fewer than 355 battle force ships." This year, the Navy budget submission for the five-year defense plan includes a $58.5 billion procurement budget that would buy 54 ships in future years and invest in high-tech systems including unmanned, cyber and directed energy weapons, Navy Lt. Kara Yingling said. However, Harrison said that Congress has to appropriate the funding annually. "In any given year, there is a finite amount of money," he said. "The more of it you spend on ship building the less of it that is available for other priorities." The Congressional Budget Office estimated in March that under the most aggressive scenario the earliest the 355-fleet could be completed is 2028. "I would argue not what most people consider to be 'very soon,'" said Steve Ellis, vice president for Taxpayers for Common Sense. The CBO projected that combining that shipbuilding program with service life extension programs for some existing ships would cost an average of $27.5 billion annually. While the Navy has outlined a roadmap to get to 355-ship fleet, it will take decades to get there and depends on Congressional spending priorities beyond Trump's tenure as president. We will continue to monitor Trump's promise to reach the 350-ship goal. By Jon Greenberg on Thursday, April 20th, 2017 at 10:20 a.m.
As part of his plan to make America great, candidate Donald Trump looked to greatly expand the Navy. "We will build a Navy of 350 surface ships and submarines as recommended by the bipartisan National Defense Panel," he said Sept. 7, 2016. According to the latest figures, the Navy today has about 275 vessels. Trump's budget calls for an additional $54 billion for the base defense budget, or a total of $603 billion in FY 2018. We are at the start of the budget process. It starts in the House and then passes over to the Senate, so we can't go beyond noting that Trump has offered a down payment on his promise. That said, the Republican-controlled House Armed Service Committee voiced its concern with Trump's numbers. In a letter to the House Budget Committee, it said the money wouldn't be enough. "That level of funding will not accomplish the administration's goals," chair Mac Thornberry, R-Texas, wrote. "Instead, we fear that it would unintentionally lock in a slow fix to readiness, consistent with the Obama Administration's previous position, from which we would not be able to dig out." Thornberry said that about $640 billion would be needed to begin the process of repairing and rebuilding the country's military. Todd Harrison, a fellow at the Center for Strategic and Budgetary Assessments in Washington, echoed the House committee's overall conclusion. The $54 billion would do little, he said. "Most of it will be needed to cover cost growth in the current force and pay for the backlog of training and maintenance that has built up over the past few years," Harrison said. By his count, to make good on the expansion Trump described during the campaign, Washington would need to spend $80 to $100 billion more in 2018 and then stay at that level. Trump is also seeking an extra $25 billion in FY 2017. That would help him in his efforts, but still fall well short. Harrison also emphasized that Trump, like President Barack Obama before him, needs Congress to go along with blowing through the budget caps required by the 2011 Budget Control Act. That is a considerable hurdle. We'll see how the numbers shake out over Trump's term in office. For now, we rate this promise In the Works.